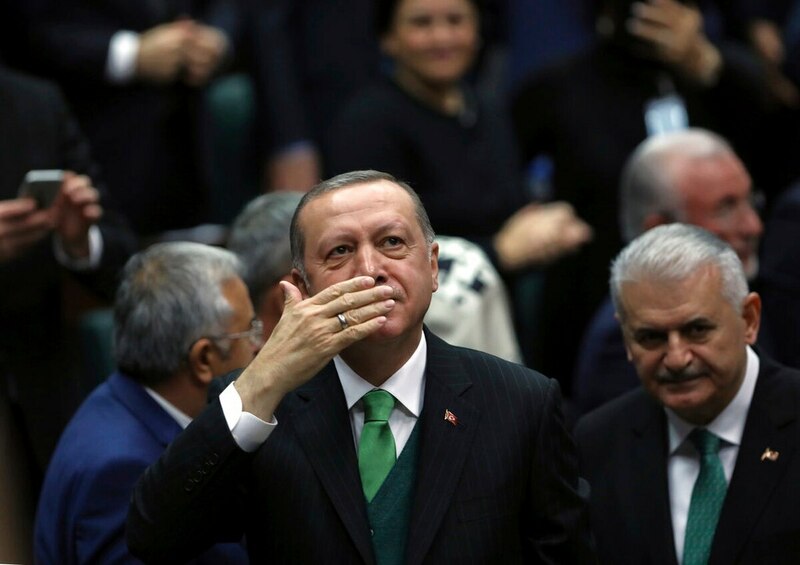 ANKARA, Turkey — Turkish President Recep Tayyip Erdogan on Tuesday called on NATO to take a stance against the United States, a fellow ally, over its plans to form a 30,000-strong Kurdish-led border security force in Syria. Turkey has been threatening to launch a new military offensive in Syria against Syrian Kurdish militias, which Turkey considers to be terrorists because of their affiliation with outlawed Kurdish rebels fighting Turkey. On Monday Erdogan accused the United States of creating an “army of terror” in Syria, along the border with Turkey, and vowed to crush the U.S.-backed border force. NATO’s headquarters described Turkey as “a highly valued ally” and said the alliance was committed to Turkey’s defense. It said however that the alliance did not have a presence on the ground in Syria and that the matter was an issue for the U.S.-led anti-IS coalition, which includes dozens of countries. Ties between Turkey and the United States have deteriorated over U.S. support of the Kurdish militia, known as the People’s Defense Units, or YPG, which Turkey says is a major threat to its security. 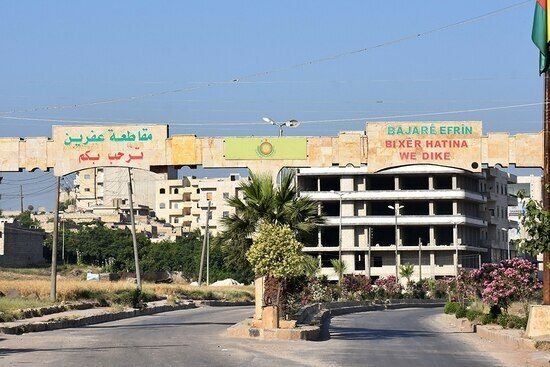 The United States however has relied on the YPG — the backbone of a Syrian force that drove the Islamic State group from much of northern and eastern Syria with the help of U.S.-led airstrikes. The coalition has said the new force, expected to reach 30,000 in the next several years, is a key element of its strategy in Syria to prevent the resurgence of the IS group in Syria. Erdogan on Tuesday reiterated that Turkey planned an imminent intervention in the Kurdish-controlled enclave of Afrin in northern Syria. Turkey has sent reinforcements to its border in recent weeks and Erdogan said this week that Turkish troops were already firing artillery at Afrin from the border. Speaking to reporters after his speech to party legislators, Erdogan said Turkey would conduct the operation in Afrin with Turkish-backed Syrian opposition forces, the state-run Anadolu Agency reported. Asked whether he planned to discuss the Kurdish-led border force with U.S. President Donald Trump, Erdogan said he had no plans to call the U.S. leader. “We discussed the issue before. He said he would get back to me. I won’t call him as long as he does not get back to me,” Anadolu quoted Erdogan as saying. Lorne Cooke in Brussels contributed to this report.